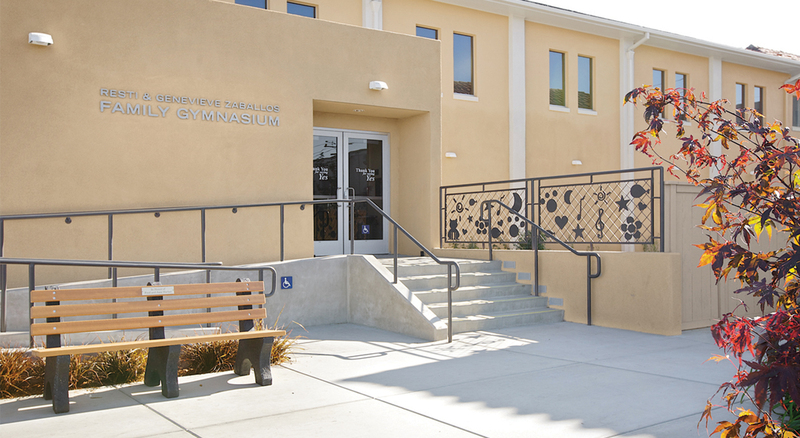 Polytech Associates provided full architectural services for the renovation and expansion of All Saints Parish in Hayward, CA. 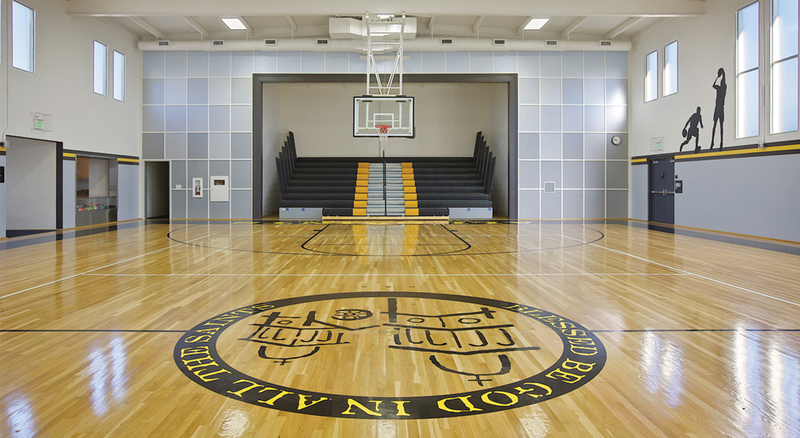 The phased design program includes a full renovation of the gymnasium, remodeling the convent into a preschool, and design of a Family Ministries Center that will house offices for the Parish Life Director, all parish ministries, administration, and preparation areas for teachers. 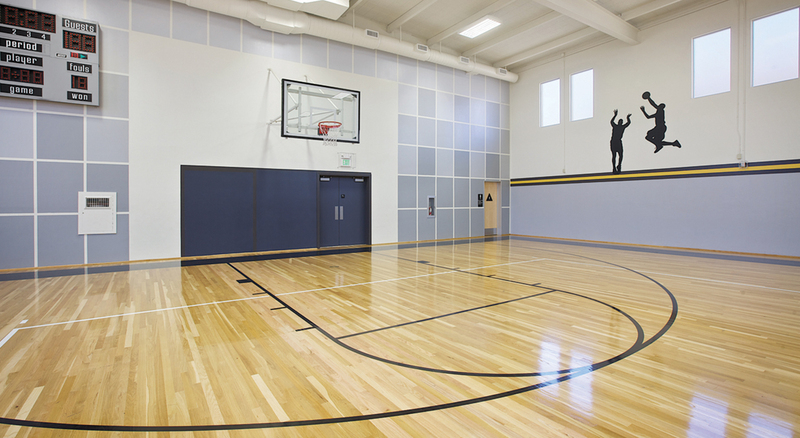 The gymnasium renovation included the removal of an existing stage and replacement of the bleacher system, bringing the seating into code compliance. ADA-accessible restrooms were added, and the kitchen now includes a snack bar, increasing flexibility for events. 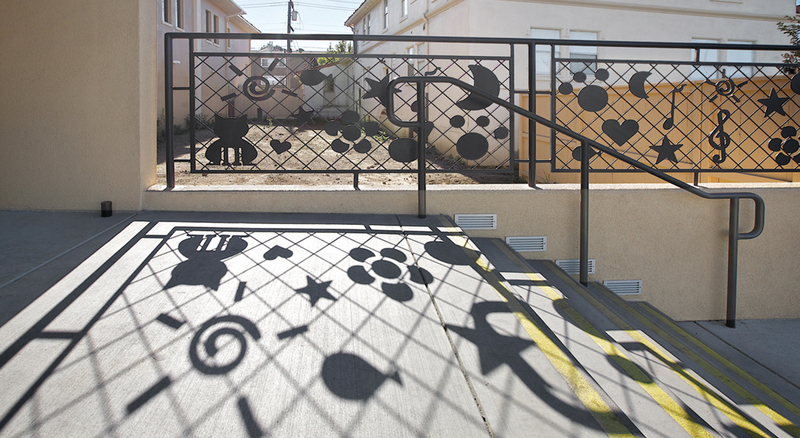 The walls feature a lighter color palette of blues, violets and greys, which complement the school’s colors of yellow and black. Inspirational wall graphics of children playing have been painted on the walls, lending a sense of motion and playfulness to the new gym. Existing windows that were painted over have been reopened, allowing more natural light into the space. The gymnasium houses sporting and community events. All Saints Parish celebrated its 100th anniversary in 2009.